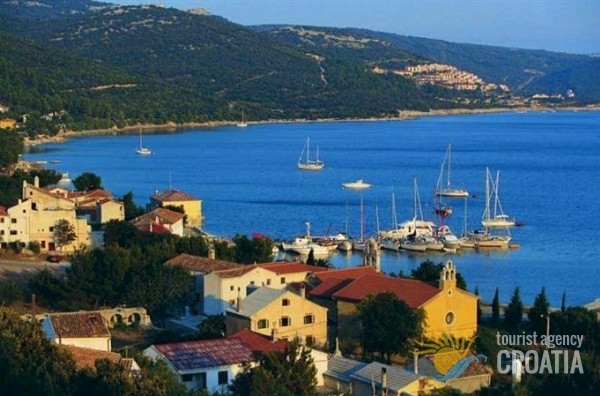 Founded as a fishing village, Martinšćica has long since opened up to organized tourism due to its natural predispositions, having a glorious bay and many enticing beaches that surround it. The functional camp-site Slatina san in conjuction with private accommodation, either in apartments or in tourist resorts, satisfy the needs of any guest. 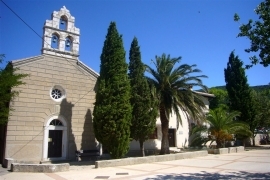 The village owes its name to the Church of St. Martin, built in the Middle-Ages, and Lying adjacent to the Monastery of the Glagolic-Franciscan Monks of the Third-Order and the Church of St. George. Also found in Martinšćica is the former summer mansion of the Cres partician Sforza, from the XVII. century. This whole area, including villages such as Utrine, Vidovići, and Miholašćica among others, exposed to the southerly winds and planted with lush vegetation, merges into the inspiring whiteness of the beaches and the cobalt-blue sea, creating an environment that is a perfect balance between man and the nature that surrounds him.